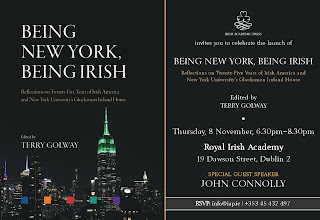 Edited by Terry Golway, BEING NEW YORK, BEING IRISH (Irish Academic Press) is subtitled ‘Reflections on Twenty-Five Years of Irish America and New York University’s Glucksman Ireland House’. 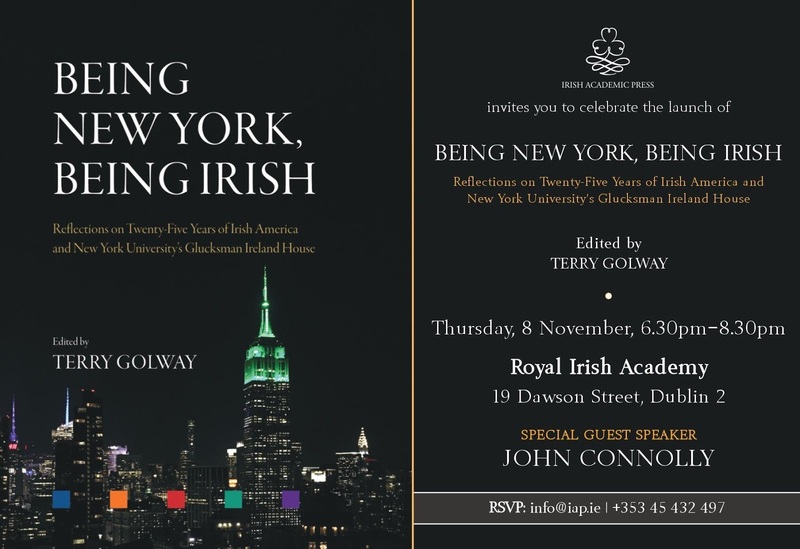 The book will be launched at Hodges Figgis on Thursday, November 8th, at 6.30pm, with John Connolly as special guest speaker. 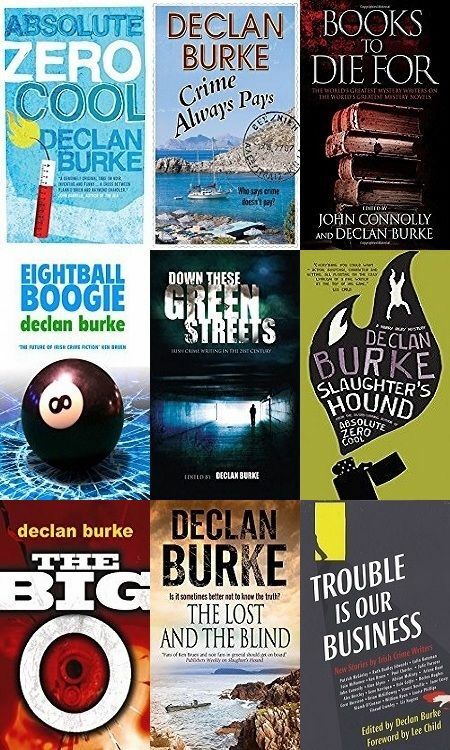 Glucksman Ireland House has long been a staunch supporter of Irish crime writing, not least due to the good works of Dr John Waters and the inimitable Joe Long, among others. 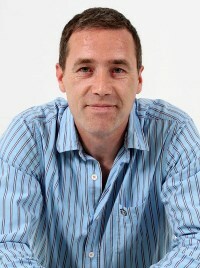 A particularly fond memory is the launch of DOWN THESE GREEN STREETS at Glucksman Ireland House in 2011, which involved John Connolly, Alex Barclay, Arlene Hunt, Declan Hughes and Colin Bateman, and which – being frank – was a surreal experience for yours truly.